takes its name from a place where most of the country’s GOLD – both a blessing and a curse – were found, near Witwatersrand, upon which Johanesburg was built. 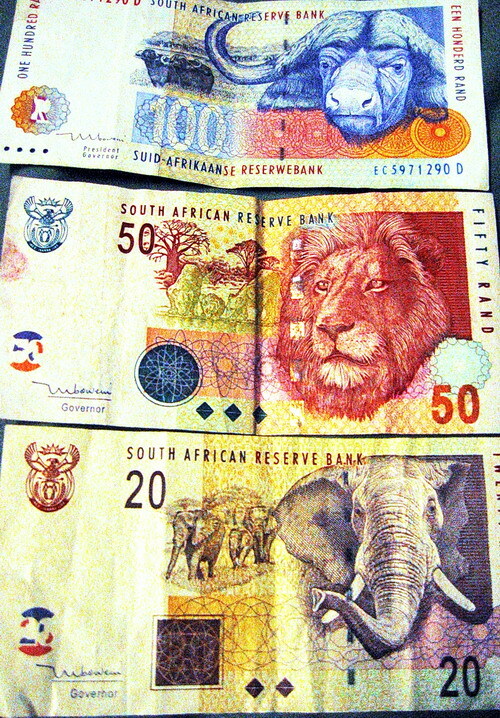 You can also use the RAND in Namibia, Lesotho and Swaziland. ← Penguins near CapeTown, South Africa.